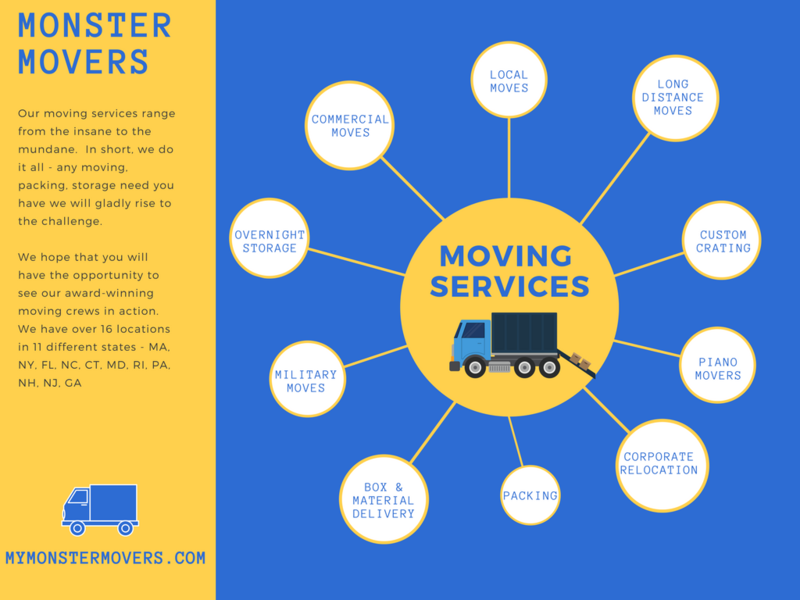 So, you have a bunch of moving estimates – all with different moving services, prices for each service – but do you really understand it? 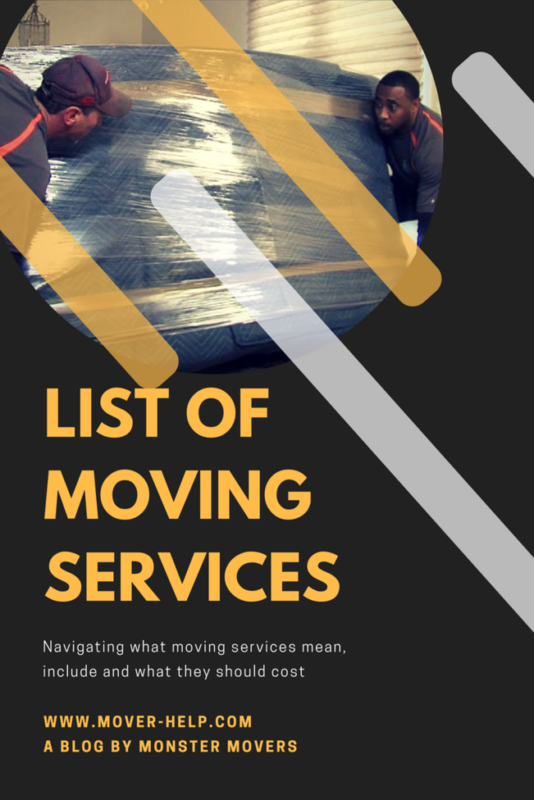 All moving services are not created equal by any means so we are going to break it all down for you starting with some moving slang vocabulary words, moving on to help with what moving services are availble, and of course what you should be paying for any moving service. binding estimate– means that the price quoted in the estimate is the amount you pay for moving services regardless of your shipment weighing more or less than than estimated. The binding estimate for moving services must accurately describe the shipment and all the services the company will provide which means you have to be completely honest with your movers. If you asked the moving company to provide additional services, such as long carry charges, shuttle servies, etc. binding, not-to exceed estimate – the same as a binding estimate so you will pay for moving services in relation to the weight without a minimum. If the actual weight of your shipment is more than the written estimate, you still pay the amount quoted. However, if the actual weight is less than the written estimate, you pay the lesser amount. Full services moving companies should offer a variety of moving services. Because things can change quickly when moving and waiting for closings it is best to hire movers who offer packing and storage services as well just in case you get caught in a bind. Full Service Packing – Your moving company should have the ability to pack your entire home in detail. Movers are trained to pack your home with the utmost professionalism and respect for your belongings. Loading – Loading your moving truck. Your movers should provide moving blankets shrink wrap etc. Your personal contents are systematically loaded onto our moving trucks where they will be transported to their new location. Unloading – Part of a basic moving service means movers will carefully place all of your boxes and furniture into each room. Moving can be a stressful task, full of its fair share of unwelcomed surprises, but what should not come as a surprise to you is the total amount you see on your moving invoice once your move is completed. Ask your movers for a binding and binding not to exceed estimate. Have you ever wondered how strong of a friendship you and your bestie have? You can gauge your comraderie by their level of help during a move. Let’s put it this way – if there was a ceremony for friendship the “friendship vows” would be ” in moving and in chillaxing.” Check below for our “Should You Help Your Friends Move?” guide – also an accurate evaluation of your bromance. Enabling Friendship: Move Score 8 This friendship is a special bond between buds that empower each other to do the impossible. This friend will boost your ego and are definitely one of the best types of friends to call for a move. Hot and Cold Friendship: Move Score 5 The Hot and Cold friend is like a corked bat. Your hot and cold friend may show up, show up late or not at all but they do, they will easily provide that extra umph to get you home. Class Clown Friendship: Move Score 3 One of the worst friends to help with a move – this friend loves pranks and those are not appreciated while moving. Also, you will be so busy laughing – nothing will get moved. Drinking Buddies: Move Score -10 Just. Don’t. The Long Distance Friend: Move Score 6 If you are moving long distance and actually hiring long distance movers – the long distance friend is a great for moral support – mainly because they won’t actually have to do any heavy lifting. Helping your friends move can make or break a friendship. Your patience will be tested but after all the back-breaking effort – you’ll become better buds after a move together. Just don’t forget the pizza and drinks. Of course, you could avoid all of the moving drama by hiring local movers, movers within 100 miles of your original residence or long distance movers. Every spring moving companies receive calls from college student athletes requesting employment opportunities. One by one, the students come in and shortly ( usually after a week or two of “moving” ), they leave. Don’t get me wrong – there are those few crew members that stick it out – those that handle the everyday precarious positions that moving twists, turns, bends, squeezes, rotates, wrenches, and distorts your body. ENDURANCE is #1. Twelve hours, up and down flights of stairs. This is not easy – period, let alone carrying boxes, couches, mattresses, desks, safes, appliances, etc. Then, when you think you can take a break – get up the next morning and do it again. Spacial Recognition is key. Some great movers have excellent space recognition skills and can negotiate objects easily. Think a huge game of 3D Tetris with really heavy things. Kindness and Compassion above all else. Moving is extremely personal. Essentially, movers are coming into someones home and taking everything they own. You can only begin to imagine the intense feelings that sometimes accompany this difficult job of a mover. Being kind and compassionate, treating the furniture like it belongs to your grandmother – this is what a great mover can do. The best moving companies hire movers who frankly just love to move. They love the daily challenge that moving a person’s household goods comes with. Those are the movers I would want to move my home. Use a Van Line for Long Distance Moves – Just. Don’t. I cannot believe the moving and storage industry is so out-of-touch with current business practices. Millennials, baby boomers and those in-between have grown accustomed to getting anything they want – fast. Long gone are the days of a van line sticking your stuff on a truck and delivering it 14-21 days later! This just doesn’t make sense anymore. There are innovative moving companies applying tech and big data to their systems making long distance movers ultra-efficient. You Don’t Need Insurance. It is more likely that your things will be damaged in transit than sitting at your house. If you do have homeowners/renters insurance, I would always suggest purchasing additional coverage. All movers in the USA are liable for $.60/pound/article which doesn’t equate to much. Find movers that offer additional coverage for a reasonable rate – this should be around $200 for a 2-3 bedroom home or up to $750 for a 5000 + sq. foot home. The Best Movers Rank High on Search Engines. The “internet of things” tends to rank national sites like yelp and van lines over smaller niche markets which seem to rank movers instead of a higher quality move. Searching with the term movers near me will give some great local results – you can even search at www.moversnearme.com . The best movers are active in their state/community and have a long history. You can do a corporation search to see how long your movers have been in business. You can move yourself. LOL, No ROFL. Please, hire movers! The damage you can do to your vehicle, back, friend’s backs, furniture, dishes, etc. is not worth the amount you save. Trust me, hire professional movers – they do this everyday and are experts! Moving is so hard if you aren’t properly trained. And, if your friend, etc. gets hurt you could get sued! I hope this article on the worst advice about movers has helped you in your search and shed light on some of the “good advice” you have heard! Moving Companies have a notorious history of scamming consumers. Even movers with stellar customer reviews have been known to take advantage of customers. 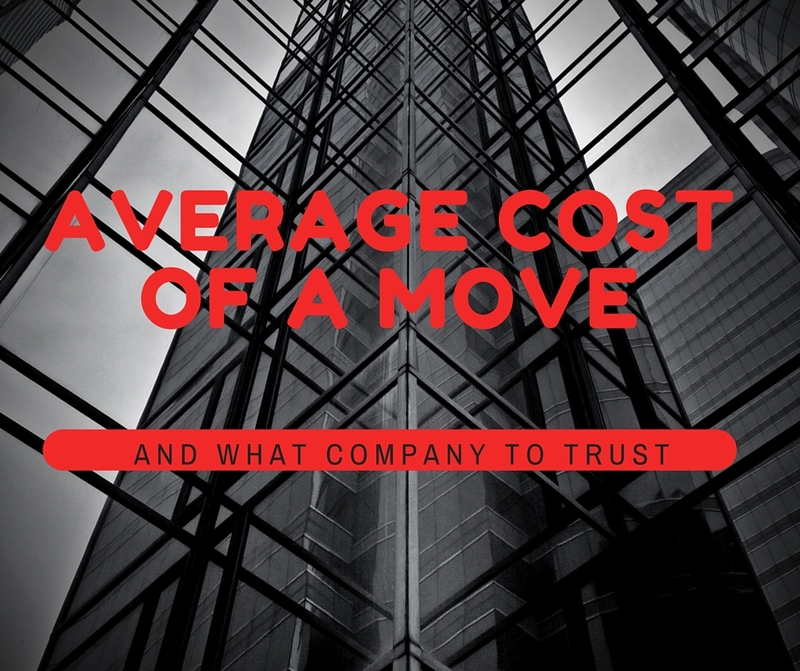 This handy-dandy article will guide you through 14 of the most common misconceptions about moving companies so you can protect yourself. All moving companies do background checks on their employees. A simple CORI check is so easy these days – find a mover who, at least, checks to make sure employees are not felons. All long distance movers are created equal. Long distance movers need a specialized license awarded by the DOT. Find a long distance mover that gives a flat-rate price and guaranteed moving dates, trust me. The movers are responsible for any damage. 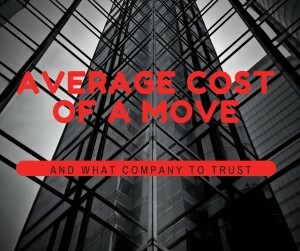 Moving companies are responsible, by law, for $.60/lb/article. Essentially if you have a table that weighs 100 lbs – you mover is responsible for $60. The best moving company offers full replacement value coverage as well – you know you are getting great movers or they would not offer this option. All movers are shady. Some untrustworthy moving companies have really ruined this industry’s reputation. Truthfully, most moving companies are going to do a great job for you but consumers expect there to be an issue. 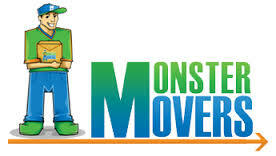 Relax, hire Monster Movers. Moving companies are disorganized. These days, movers have updated systems like truck tracking, moving company software and advanced logistical systems that make the industry much more smooth and organized. Moving companies are too expensive. Whether you have a small studio moving in-state or a large home going across the nation – moving companies are always the better option. Moving in the snow is probably one of the most annoying things in the entire world. Carrying a 200 lb. dresser across slippery ice – a problem for most moving companies but movers in Boston and other New England movers have been practicing the art of “moving in the snow” for many cold, frost-bitten years. Our moving crews have been moving for over 37 winters of snow and are happy to share some really important moving tips for those wintery months. SAFETY IS NUMBER ONE – There are so many things that can go wrong during winter moves. But safety of the crew members, you and your furniture is the top priority. We highly recommend hiring movers during winter months. The inside of your home and the truck itself can get as slippery as the ground outside and most people don’t realize this until its too late. All of our moving crews carry shovels, rock salt and sand with us but you should always call your mover anyway and make sure they have these things handy. DRIVING A MOVING TRUCK IN THE SNOW – Unless you are an expert truck driver – don’t do it. I have seen other moving trucks literally slide down the hills of Boston. Snowy roads are not something for an awkward moving truck to be travelling in – leave this feat to the experts. In the case that you do get stuck – call roadside assistance immediately and place the orange markers out. Our moving trucks get winter overhauls but renting a truck you may be shocked to find the lack of winter snow tires and/or moving chains. BE PREPARED – Things you will need for a move in the snow – ice melt/salt, sand, shovels, window scraper, floor and truck runners to minimize slipping, heavy-duty gloves – hands get slippery in the winter too. DON’T RISK IT – I remember a customer who wanted us to move a hot tub that had just been unhooked ( leaking water ) across a football field of ice an down icy steps. We did everything we could to get that across but the ice was a foot deep and did not melt with all of our salt, ice melt and sand. We did our best without it but in the end we needed to use a crane to get that bad Larry out. Sometimes there is nothing that you can do about the weather – better safe than sorry. WATCH THE WEATER – It can change drastically. A sunny day in the North East can easily turn into a blizzard before your offload. WINE BOTTLES BREAK IN COLD WEATHER – I know, it’s not fair. If you are doing a long distance move – or one that is going into storage during winter months, please make sure you hire a mover with climate-controlled storage or your expensive wine collection could be ruined. Also, overnight storage is not recommended for bottled liquids. They may break overnight in the cold. 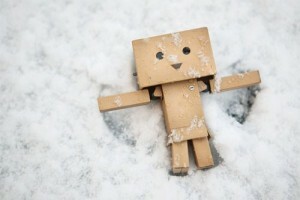 ELECTRONICS and PLANTS DON’T LIKE SNOW – Like wine, plants don’t fair well during winter month moves. When hiring long distance movers in Boston or other snowy cities, make sure your mover is using climate-controlled storage facilities and not offloading your shipment into a warehouse. Electronics generally do fine in the winter but may need a thawing period. TURN THE HEAT ON – Make sure your heat is on in the new house or this will only prolong your moving issues. Moving in the winter can be a challenge but by following our mover help, you will be prepared to weather any winter storm. Somehow my post on moving with a pet ended up longer than my previous post about moving with kids… The actual moving with a pet does present more of a challenge – unless your kids are “animals” too. Here is a long-winded list on how to handle moving with a pet. The first section of this post is really for moving long distance with a pet. If you are moving close-by you can skip to the bottom of the post to where I discuss getting your new pet acclimated to his/her new abode. If you are hiring movers, make sure your pet is at a relatives house or put in an area of your house so they do not feel threatened by the new movers. Also, when the movers are there, it may be unsafe if a pet is running around. Let your movers know that you have a pet and hire pet-friendly movers. If your pet has a condition your vet will suggest treatment or sedation techniques for the ride/flight. You will need vaccine records and licenses if you are traveling. If you are moving to Canada – you will not cross the border without this. I should mention those moving to Hawaii will need to quarantine their pet for months before their move. This can be an annoyance most are not aware of. If you are flying, you will need a sedative for your pet. I don’t suggest putting your pet on a plane in winter as it gets really cold for them. My vet has always given me a light sedative so my pets are not “out cold” but they are comfortable – this really eliminates the stress of the situation.. This is also helpful if you have a pet that you know doesn’t travel well, is cage aggressive or could bite movers. Get copies of vet records and vaccination certificates. You need to have actual license papers for any long distance moves or when you are flying with your pet. If your pet has a rabies tag – this does not count! They won’t let you fly without paperwork from your vet. If your pet is traveling by air, you will probably need a health certificate from the vet, and there may be a time requirement so plan accordingly. Make your airline reservations directly with the airline if you are flying to your new destination with your pet. Cats and small dogs can often fly in a small carrier with you in the cabin. Larger pets and large carriers may require transport in the cargo area. The latter is probably the most stressful and dangerous mode of transportation for your pet–see Warnings below, and check out How to Minimize Risk to a Pet in the Cargo Area of an Airplane. Confirm they accept pets. Keep in mind airlines have very specific regulations for pets transported in the cargo area. They will not allow a pet to fly in temperatures in departure, layover or destination cities if the temperatures are too hot or too cold. It may be a pleasant 75 degrees F in Atlanta but it may be 40 degrees F in Chicago. The decision may not be made until the day of your flight. Travel on the same flight as your pet if your pet is going to be in the cargo area. Ask the airline if you can watch your pet being loaded and unloaded into the cargo hold. When you board the plane, notify the captain and at least one flight attendant that your pet is traveling in the cargo hold. If the captain knows that pets are on board, he or she may take special precautions. Find out what additional cost is involved. Inquire if you must fax your vet records beforehand (always keep a copy with you). Ask what specific maximum carrier measurements are allowed. Your pet should be able to turn around freely and not be cramped. Food and water should be available for cargo transported animals. You may be able to buy a cheaper carrier online so shop around if you have time. Schedule your dogs to be groomed the week you leave. They will smell clean, their nails will be trimmed so not to ruin your car’s interior and you won’t be taking a dirty dog into a new home. Consider having long hair dogs shaved or heavily trimmed. You may also want to give your cats a good brushing, since they might shed more when they’re stressed. If you are sensitive to scents, make sure you agree on the fragrances/cologne spray used. Some shampoos also help with shedding and itching. Ask your groomer. You don’t want your dog itching for the entire trip. Not only is it noisy but it is also hard on the pet since the dog may not have enough room to scratch. Make your grooming appointment early and don’t wait until the last week. You’re making special requests and you should give them plenty of notice about what you want done so they can schedule the appropriate amount of time and personnel needed Make your reservations early to make sure you can bring your pet and get one of those rooms. The most important thing is to speak with someone directly at the hotel. Make a note of their name and department. Get a direct phone number if you can. Do not make assumptions based on what you read online!. Make sure to plan ahead and book pet friendly hotels! Make a list of things you will need for the road and make sure they aren’t packed to go on the moving truck. Always bring a plastic bin with your pets things with you while you are in the process of moving. Give your pet plenty of love during th e move.Let them sleep in the bed, take them for walks, take time out to play and feed them their favorite food or treats. It will improve their spirits for the actual move day. Pets are often the last thing on people’s minds during a stressful move. The pets begin to feel unloved and neglected which can bring about more stress and bad behaviors.It is not uncommon for pets to refuse food and water while away from home or in a stressful situation. Keep a close eye on their intake. Try to take time every few hours during moving and travel to walk your pet, set out food and water and try to get them to drink. If their appetite doesn’t improve, you should contact a vet. Some sedatives can cause your pets to become thirsty and if not addressed they become dehydrated. Make sure they have access to plenty of water.Keep a log of when and how much sedative you give. It will prevent you from double dosing should you forget in all the chaos of moving. Here is a moving checklist to help you decide what to do when with your pet.